After ‘Station to Station’, his traveling exhibition that crossed America before arriving in London for an exhibition at the Barbican Centres, Doug Aitken has also come to Frankfurt on the Main for an exhibition at Schirn Kunsthalle Frankfurt. 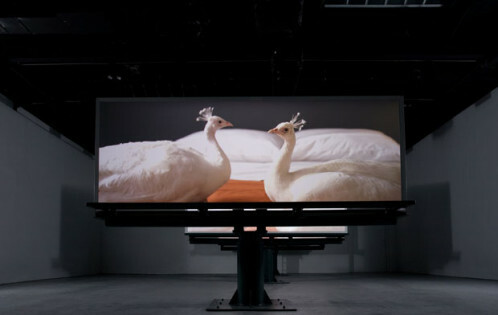 Entitled Doug Aitken, the exhibition concentrates on the American multimedia artist, more precisely on his video installations. Lights, sound, installations, natural phenomenon, fauna; their common point is to all being part of Aitken’s show. 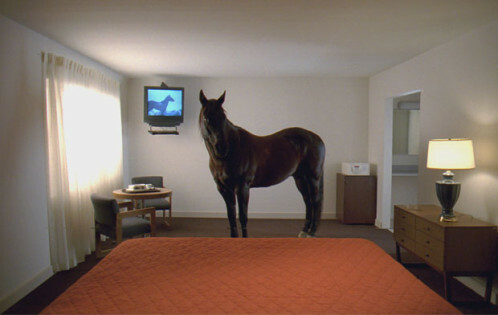 Through his video installations, he displays a very unique, however eloquent and reachable language, with yet never using any speakable one. The trailer reveals a very peculiar and attractive universe in which animals are the users of human’s commodities while humans feel uneasy in a wall-deprived habitat in which fire, water, earth and fire are guiding the lines. Aitken delivers his video vision of a world full of individualities and irregularities supported by their background sound.